Tube Bundles, Heat Exchangers, Retube & Repair, Coils, Fin Coils, Pipe Bends, Chiller Barrels & Tanks - J.F.D. Tube & Coil Products, Inc.
J.F.D. is a manufacturer of direct replacement tube bundles. We can cross reference other manufacturers' tube bundle model numbers. All units are constructed with ASME/ASTM code grade materials. ASME "U", "UM", and "R" stamps available. We can work with any weldable alloy. 24 hour, 48 hour, and 5 work day Rush/Emergency Shipments are available. Contact us for more information or request a quote online today. Tube bundle and heat exchanger breakdowns are costly. J.F.D. can repair, rebuild, or replace failing tube bundles or heat exchanger to get you back online quickly. We are ASME Certified with our "R" repair stamp. We have 24 hour, 48 hour, or 5 work day Rush/Emergency Shipments options available. Contact us for more information or request a quote online today to retube and repair your tube bundle or heat exchanger. J.F.D can directly replace your HVAC and new application fin coils. Custom and Booster Units Available. Rush/Emergency Shipments. Contact us for more information or request a quote online today. Direct Expansion Water and Refrigerant Chillers. 5-300 Nominal Ton units. Standard and Custom Construction Styles Available. Rush/Emergency Shipments. Contact us for more information or request a quote online today. J.F.D. is ASME Certified: "U", "UM", "R". 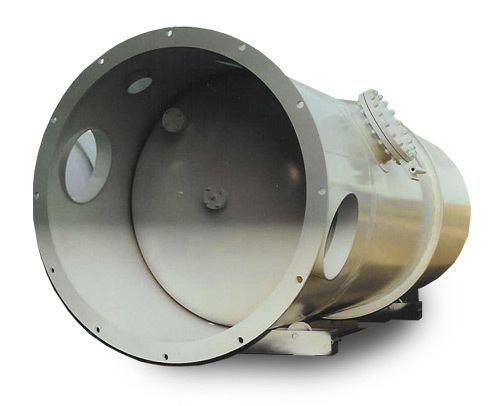 We design, size, fabricate, & repair Shell & Tube Heat Exchangers. Our heat exchangers serve industries such as Aerospace, Chemical, Pharmaceutical, Food, Pulp, Power, Petrochemical Industries, and many more. We use materials ranging from standard to specialty alloys. Rush/Emergency Shipments are available in as little as 24 hours. Contact us for more information or request a quote online today. J.F.D. is a manufacturer of helical, serpentine, conical, coaxial, stacked, and a variety of tube and pipe Coils. We can coil standard or specialty materials ranging in size from 3/8" OD tube to 6" Pipe. We build coils with any weldable alloy. We have our ASME "U", "UM", "R" Stamps. Rush/Emergency Shipments are available. Contact us for more information or request a quote online today. J.F.D. is a manufacturer of Round Tube & Pipe Bends. Capabilites range from 1/8" OD tube to large diameter pipe. Elbows, compound bends, u-bends, sweeps, arcs, coils. We work with any weldable alloy. Rush/Emergency Shipments. Contact us for more information or request a quote online today. ASME Certified: "U", "UM", "R". 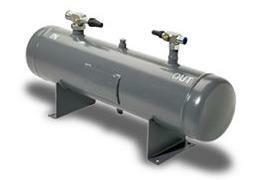 Design, Size, Fabricate Ferrous & Non-Ferrous Tanks and Pressure Vessels For a Variety of Applications. Custom Construction of Standard and Specialty Alloys. Rush/Emergency Shipments are available. Contact us for more information or request a quote online today.